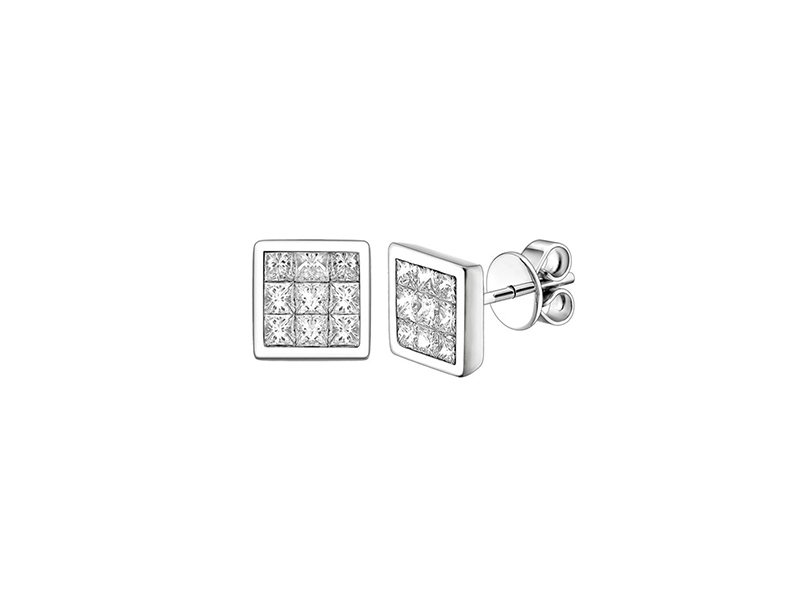 Best selection of dazzle in diamonds studs! 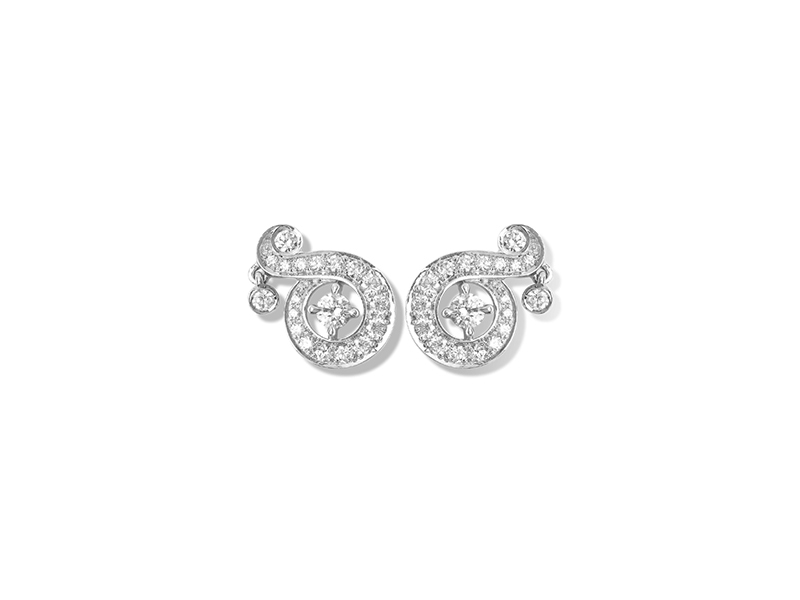 The Eye of Jewelry spotted the most stunning diamond studs you can find on the market. 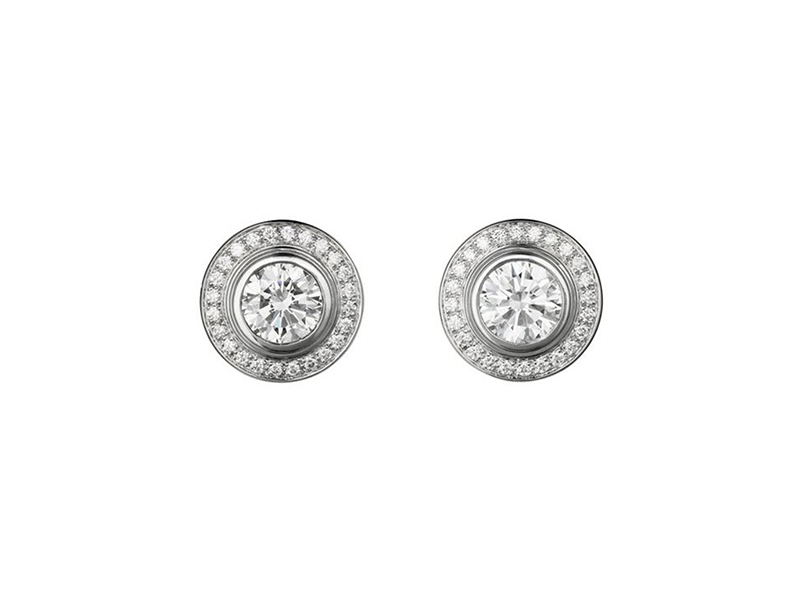 Studs are more than just earrings. 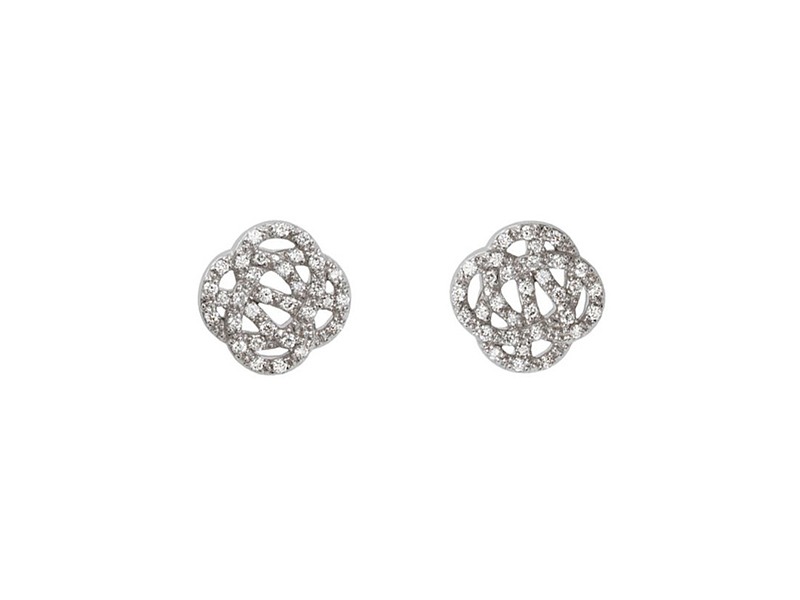 You can wear them and never take them off. 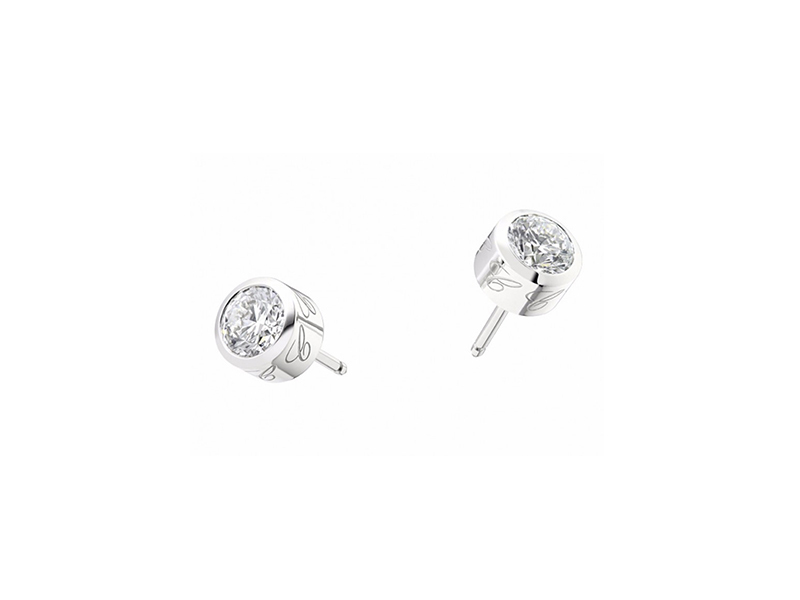 Discreet, chic, classic, timeless and feminine, studs are no-brainers. 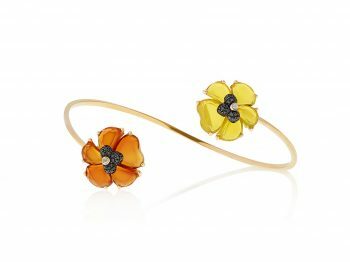 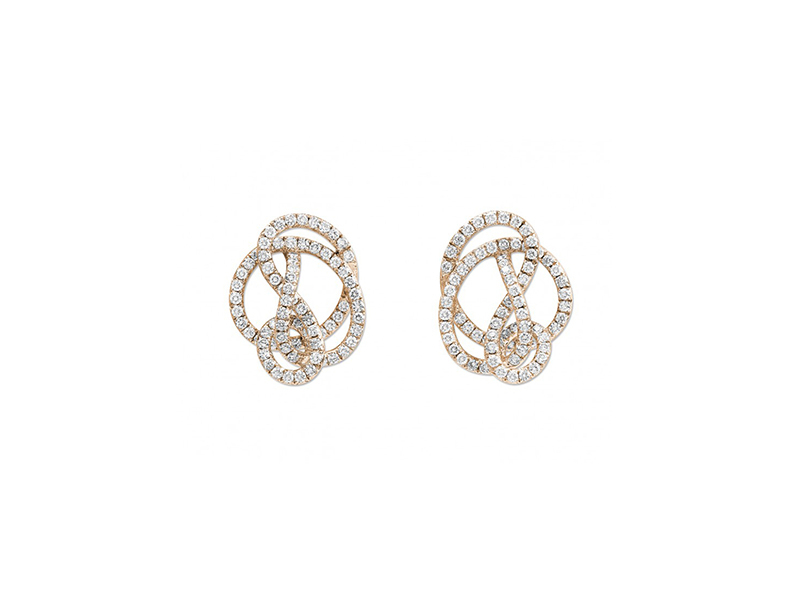 Check out the selection of the Eye of Jewelry according to your style and taste! 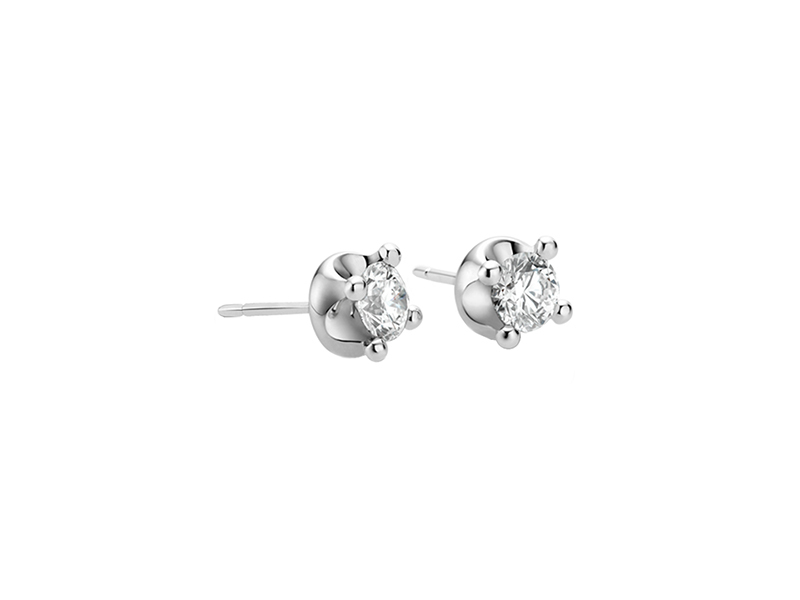 Cartier – D’amour Earrings 18K white gold, each set with a brilliant-cut diamond available in 0.18-0.22 and 0.50-0.59 carat and brilliant-cut pave diamonds. 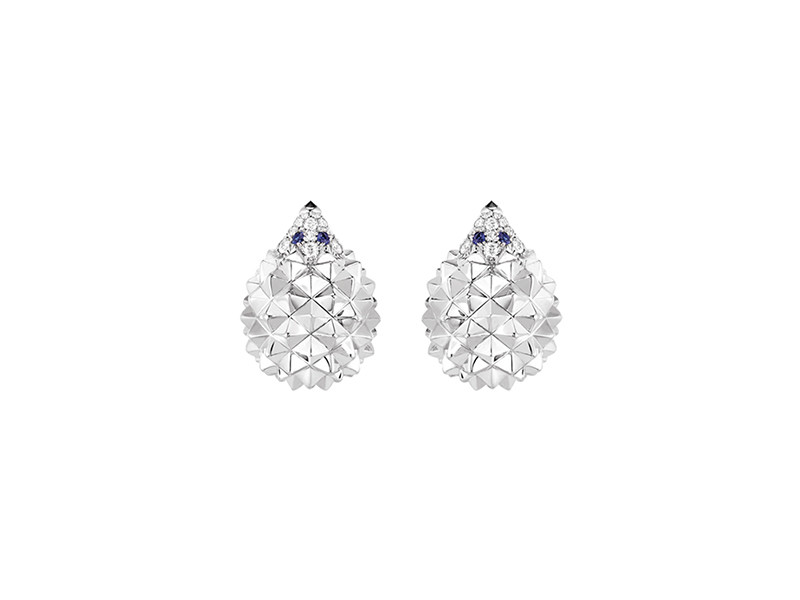 Boucheron – Hans, The Hedgehog Studs, Diamonds Studs set with pavé diamonds, blue round sapphires and black diamonds, in white gold. 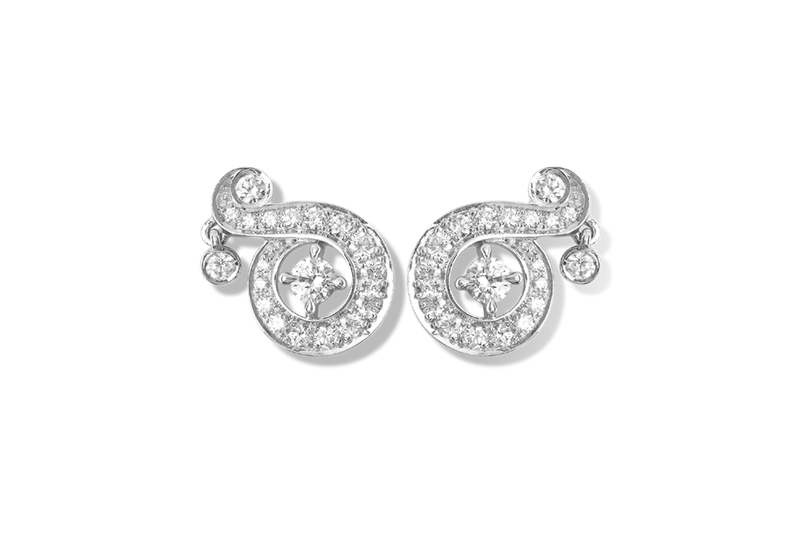 Chopard – Dreams Earrings Mounted on white gold with white diamond. 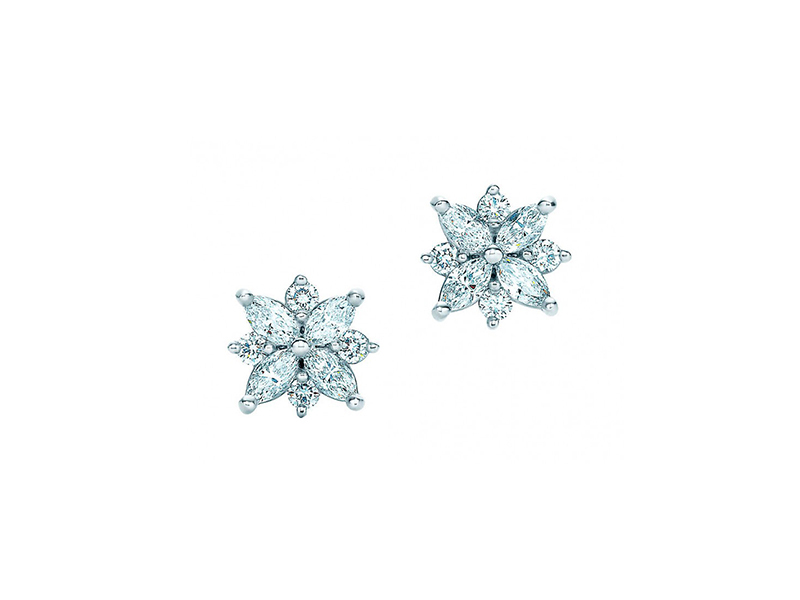 Tiffany & Co – Cluster Earrings Mounted on platinum with marquise diamond (carat total weight .52) and round brilliant diamonds (carat total weight .20). 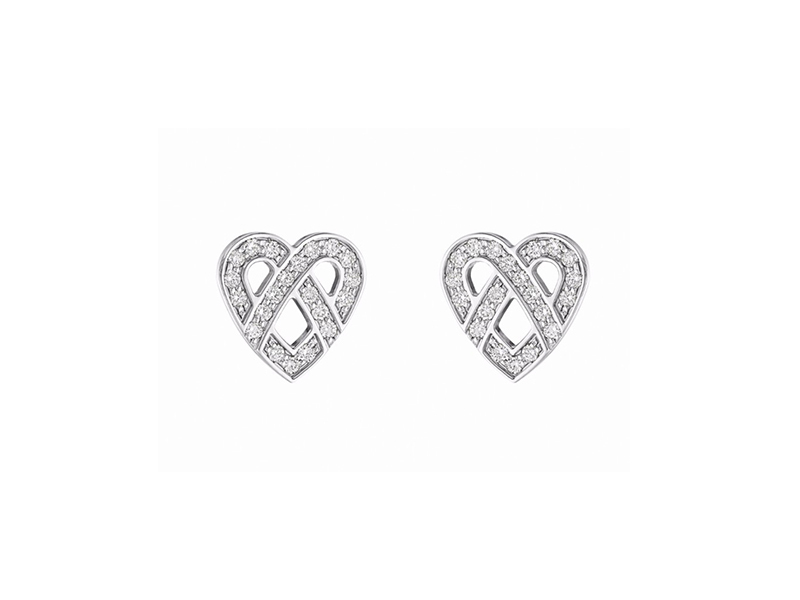 Poiray – Coeur Fil Earrings Mounted on white gold with white diamonds. 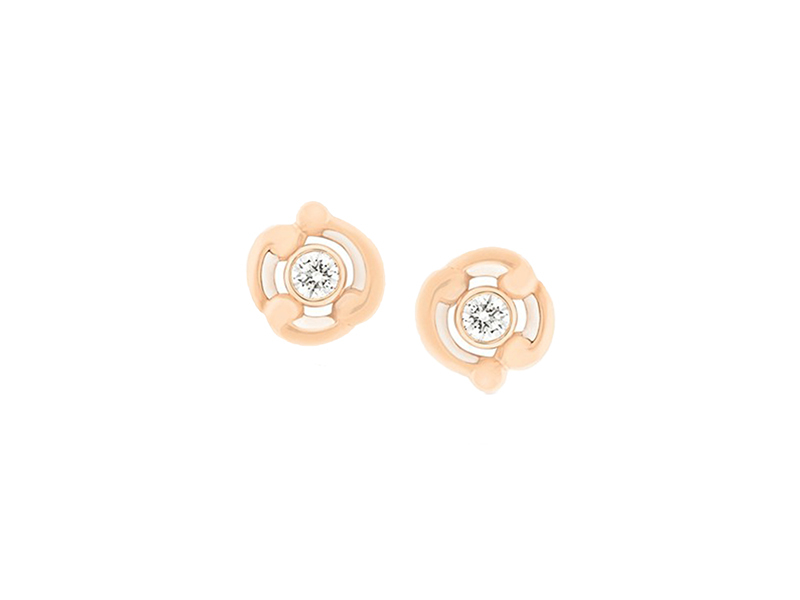 Faberge – Rococo White Enamel Rose Gold Stud Earrings Mounted on rose gold with white diamonds and white cold enamel. 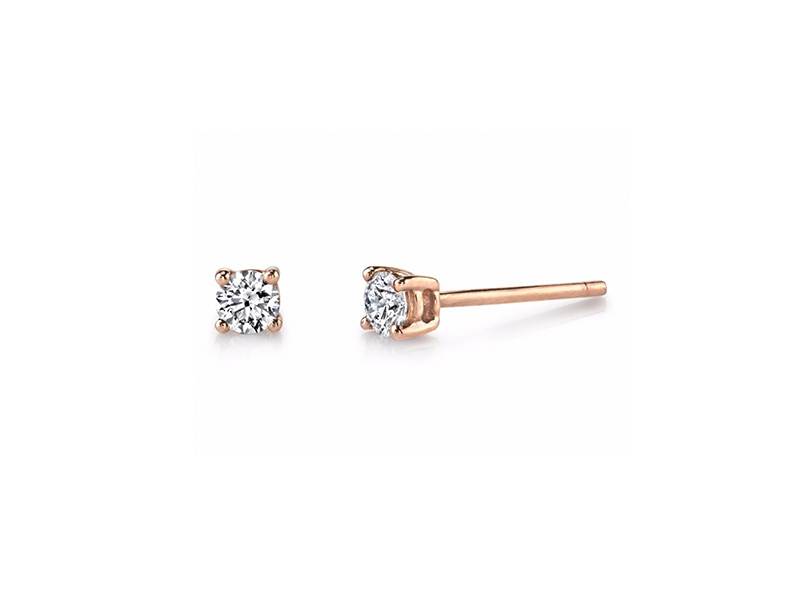 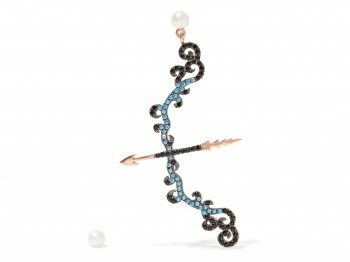 Lorenz Baumer – Pense À Moi Studs Mounted on rose gold with white diamonds. 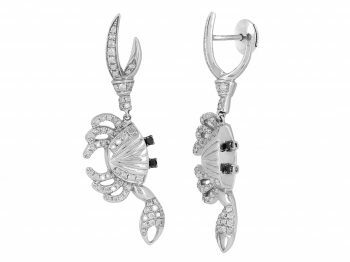 Peter Lam – Quad Earrings Mounted on white gold with diamonds. 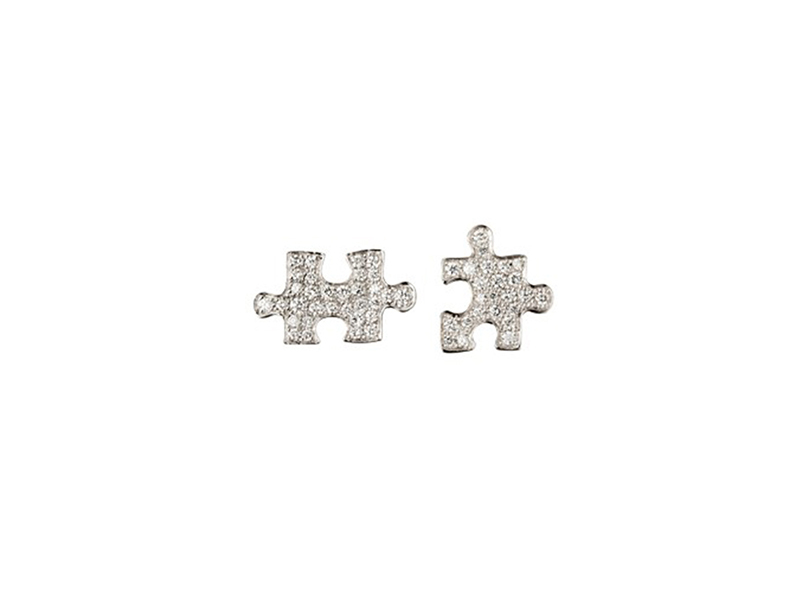 Akillis – Puzzle Earrings White gold mini clip earrings with white diamonds setting. 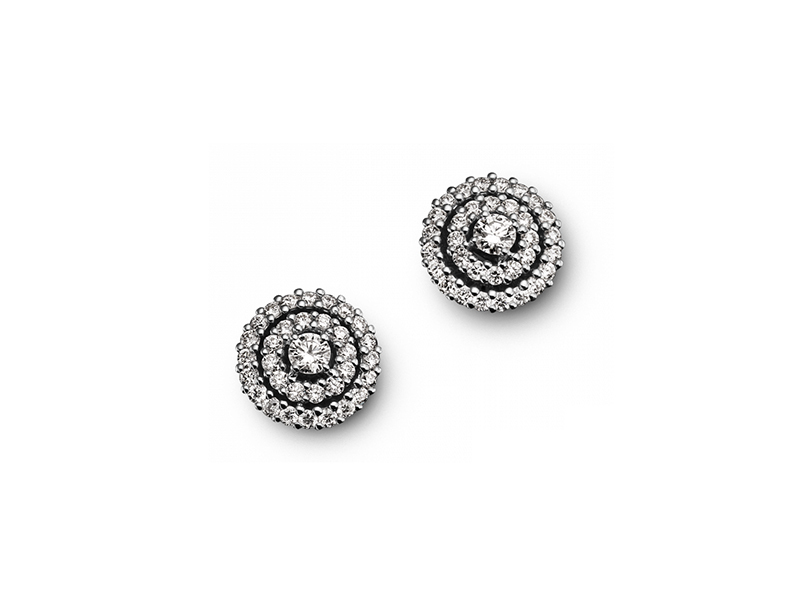 Buccellati – Ramage Button Earrings Mounted on white gold set with diamonds and leaf-modeled white gold borders. 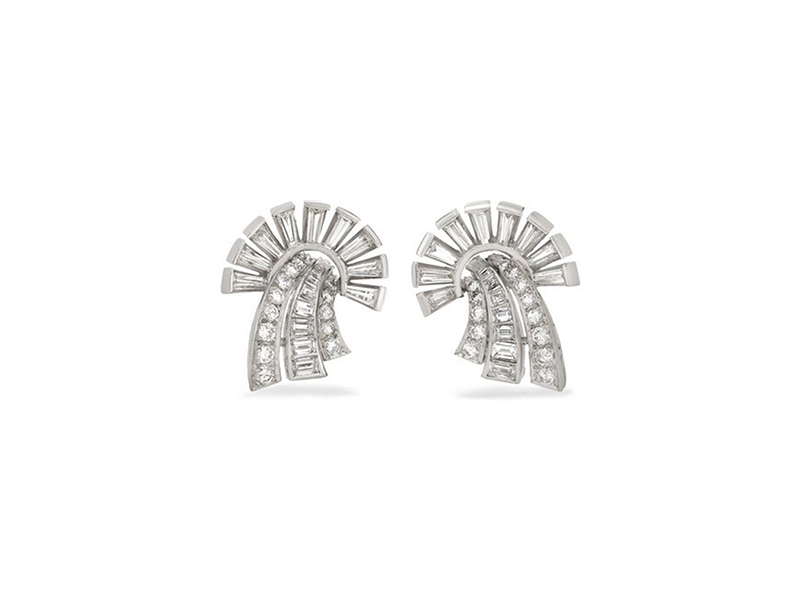 Van Cleef & Arpels – Nid De Paradis Earstuds Mounted on white gold with round diamonds. 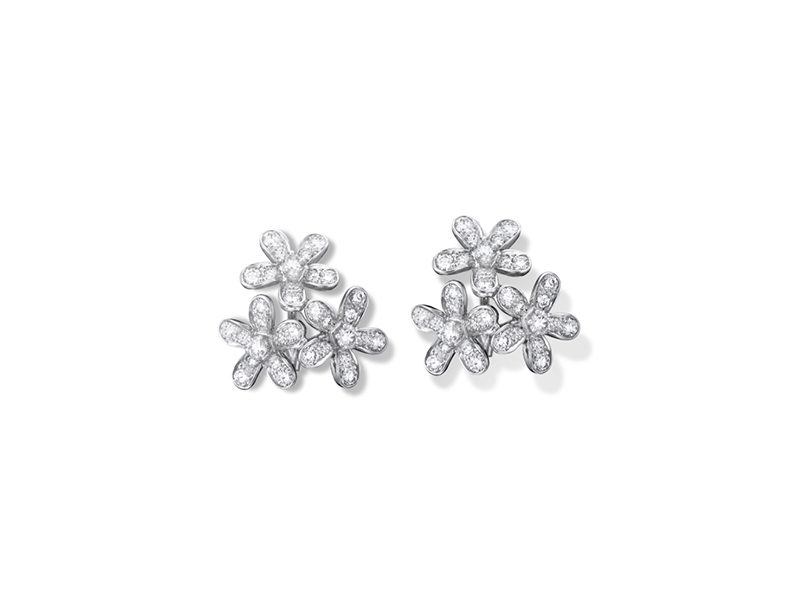 Van Cleef & Arpels – Socrate Earrings, 3 Flowers Mounted on white gold with round diamonds.